When we are out and about photographing the temptation is to keep our eyes looking at, well, eye level. It does stop us bumping into people, but it means we miss so much. I reckon that if you visit a town and ask passing pedestrians what the best thing is about the tops of their local buildings very few will be able to describe any of them. There are many interesting subjects to be found if you look up or down. Take this second-floor window for example. 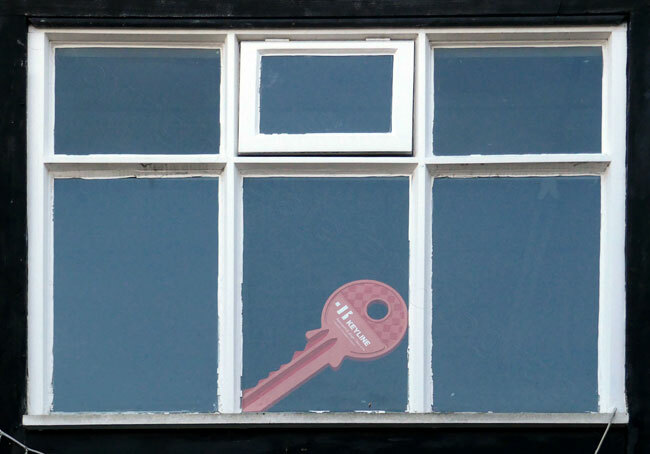 There is a giant red plastic key leaning casually against one of the panes. It raises questions such as; “Why is it there?”, “Where is the factory that makes giant keys” and “If that’s the key what on earth is the lock like?” The key does make for good colour contrast against the blue-grey of the reflected sky. Looking down can bring real surprises. 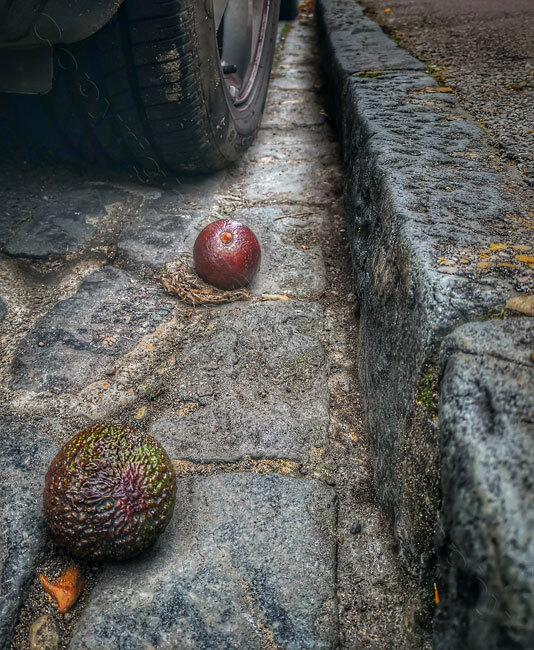 I was in Headington, Oxford recently and noticed these two avocados in the gutter. One does get a better class of litter in Oxford! They were in pristine condition, so I wondered how they had got there, and why they had been left. I took the image on my Huawei mobile phone and added an HDR effect using Snapseed. 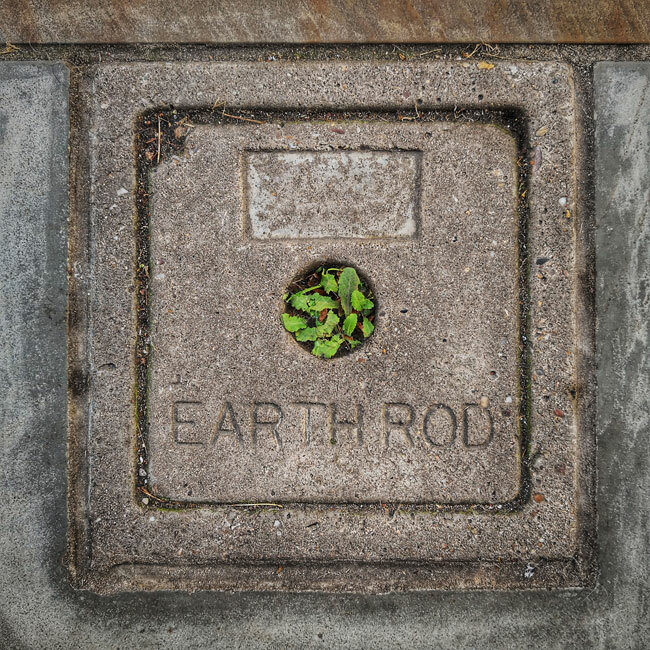 We do our best to cover our city streets with concrete, but nature has a way of getting back into the apparently uninviting spaces. These small dandelion (?) plants have managed to find somewhere to live in a services cover. Perhaps they misunderstood the word earth? The moral? Hunt high and low, then you might see something that makes you go, “A-Ha!”. © 2019 Gale Photography|ProPhoto Blogsite by NetRivet, Inc.